It’s summer, time to fire up the grill! We came up with this recipe one time when we ran out of honey mustard sauce. We love it. 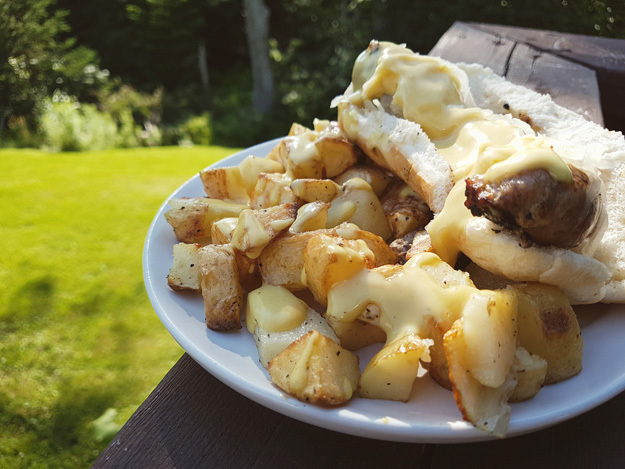 Give it a try on chicken, sausages, pepperoni or even on roasted potatoes. Makes approximately 500ml of maple mustard sauce. Combine ingredients and whisk well. Refrigerate for at least 30 minutes to let flavours develop. Store in the refrigerator for up to 2 weeks.